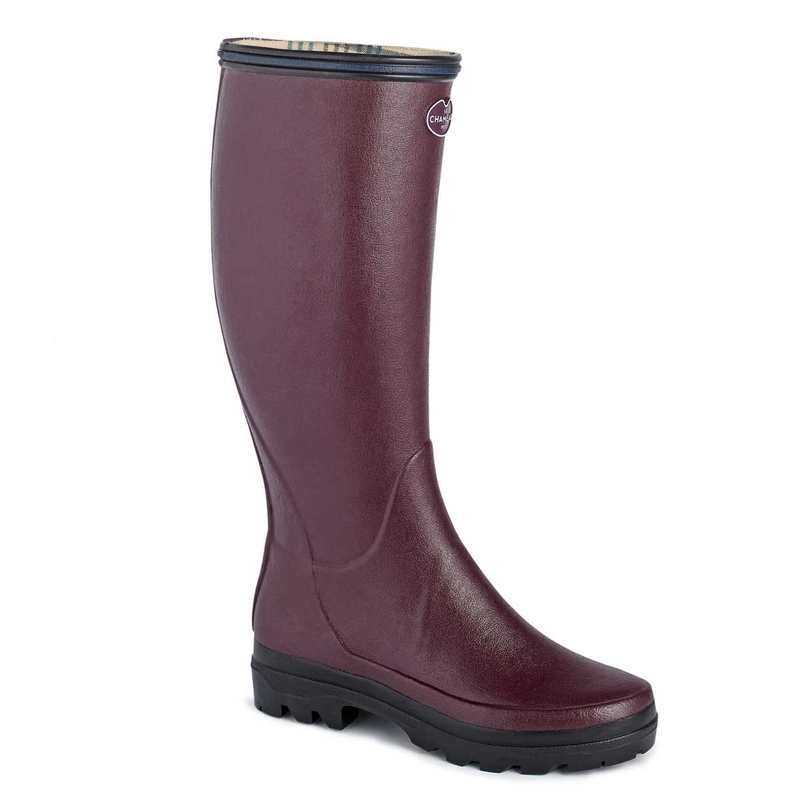 Le Chameau Giverny Wellington Boots. Walking boot with two-coloured rubber upper leg trim. Really nice pair of wellies. Rubber rather than plastic. Good grip and nice lining. I bought these after my trusty vibram boots finally gave up(4 years constant equine use!). They are smart comfortable and I do like them. My only reservation is they are a bit flimsy in comparison time will tell! Ive been trying to find a pair to replace my old (19 years) pair which have only just given up for ages. So pleased to find a stockist.